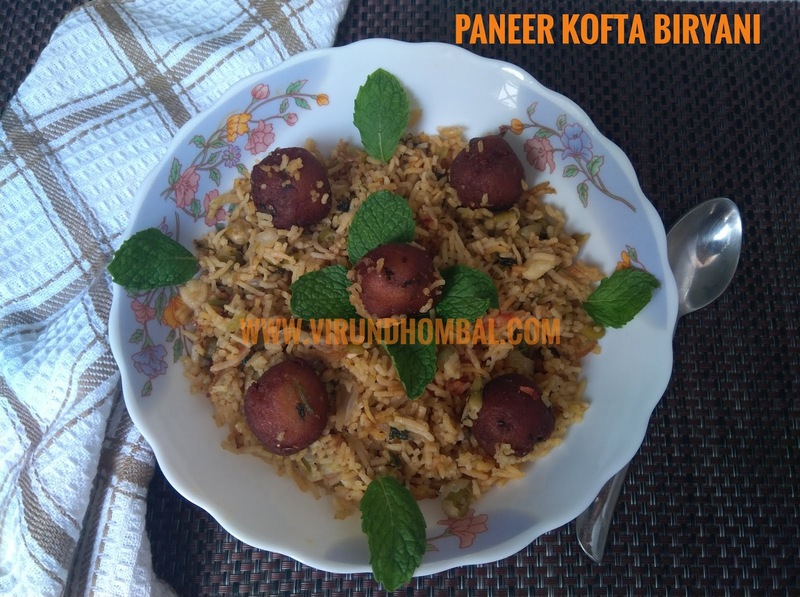 This recipe works well with basmati rice and jeera samba. I cooked this rice in a wide kadai. Recently, I found that briyani tastes good when cooked in a kadai closed with a lid when compared to the pressure cooking method. I have added the regular spices, ginger garlic paste and other basic ingredients for the biryani. 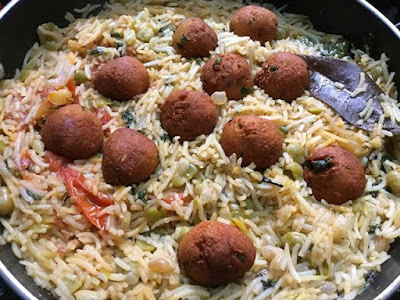 In this biryani, I have added a few strands of saffron, which adds a beautiful colour and flavour for the rice. Serve this Paneer kofta biryani with an onion raitha or any other mild vegetable gravy. 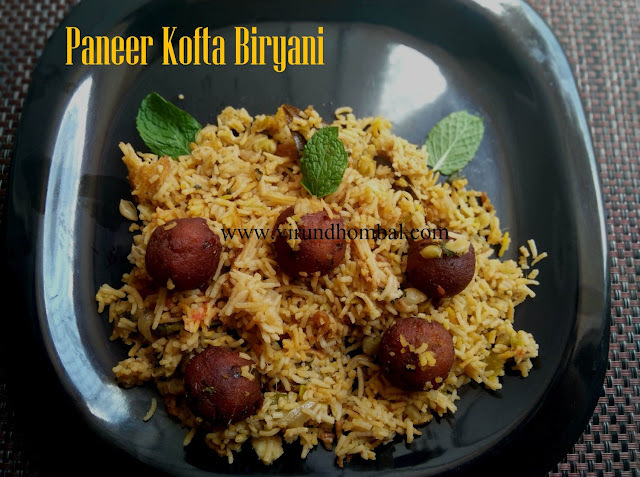 Now we will see how to prepare this biryani with step by step instructions. First, take the rice in a bowl and wash it with 2 cups of water for 2 times. Soak the rice with 1/2 cup of water for 20 minutes. 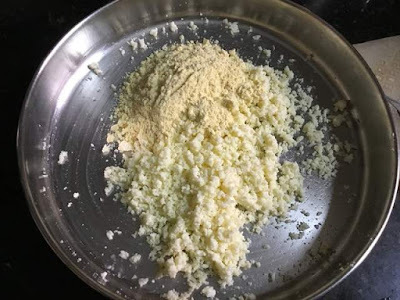 Take a wide plate or bowl and gently crumble the paneer with your fingers. 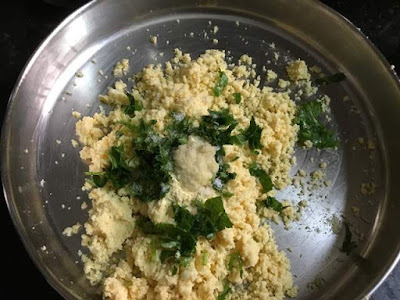 Add the besan flour to this paneer and mix it well. Next, add the chopped coriander leaves, mint leaves, green chillies, ginger garlic paste and required salt. 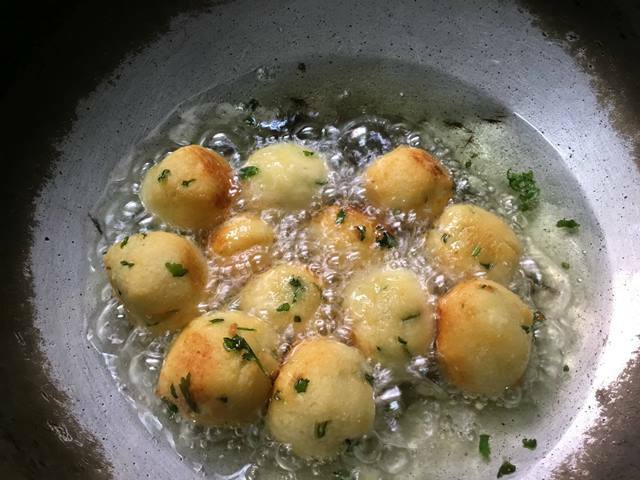 Mix them well and make a dough.Now prepare small balls as we prepare jamuns and keep it ready for deep frying. Heat oil in a frying pan on medium heat. Add the koftas one by one into the hot oil and turn them frequently as it will quickly turn black. Fry the koftas till golden brown and keep it separately on a plate. Heat ghee and oil in the kadai and add all the spices. When you get a nice aroma, add the onions. When the onions turn golden brown, add the ginger garlic paste and green chillies. Saute well until the raw smell of the ginger garlic disappears. Add the chopped coriander leaves and mint leaves. Stir and saute well and add the soaked green peas. 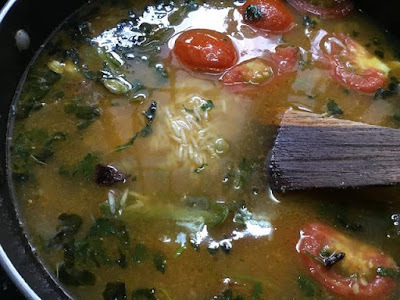 Next, add the tomatoes and saute well for a few minutes.Now add the biryani masala powder and mix it well. If you have one cup of rice, boil 3 cups of water in a vessel. 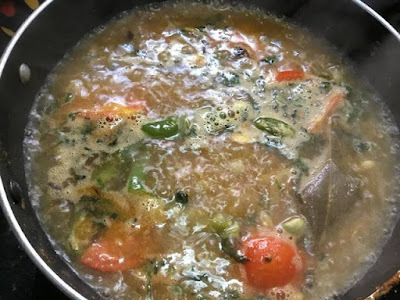 Add this boiling water to the kadai and mix well. Add the required salt and lemon juice. Reduce the heat to low and add the soaked and drained rice. Close it with the lid and cook the rice on low heat for about 15 minutes. After 15 minutes, open and place the koftas and add some saffron and ghee. Again close it with the lid and cook for 7 minutes. First take the rice in a bowl and wash it with 2 cups of water for 2 times. 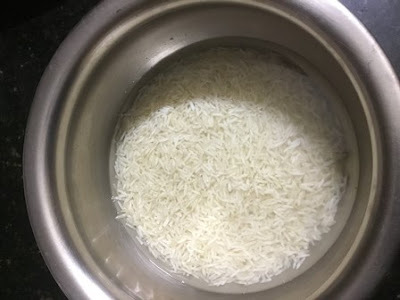 Soak the rice with 1/2 cup of water for 20 minutes. After 20 minutes, drain the water completely. Take a wide plate or bowl and gently crumble the paneer with your fingers. You can also grate it finely. Add the besan flour to this paneer and mix it well. 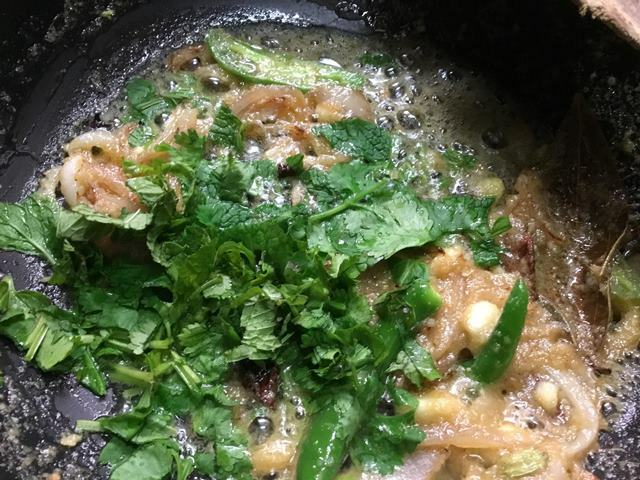 Next, add the chopped coriander leaves, mint leaves, green chillies, ginger garlic paste and required salt. Mix them well and make a dough. If the dough sticks to your palm, add some more besan flour. Now prepare small balls as we prepare jamuns and keep it ready for deep frying. Heat oil in a frying pan on medium heat. 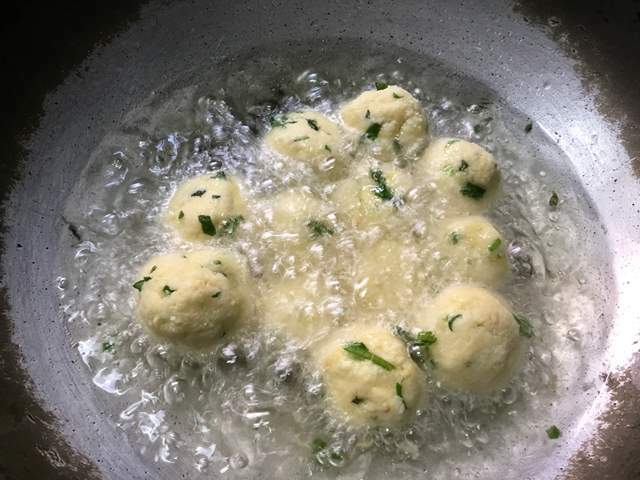 Add the koftas one by one into the hot oil and turn them frequently as it will quickly turn black. 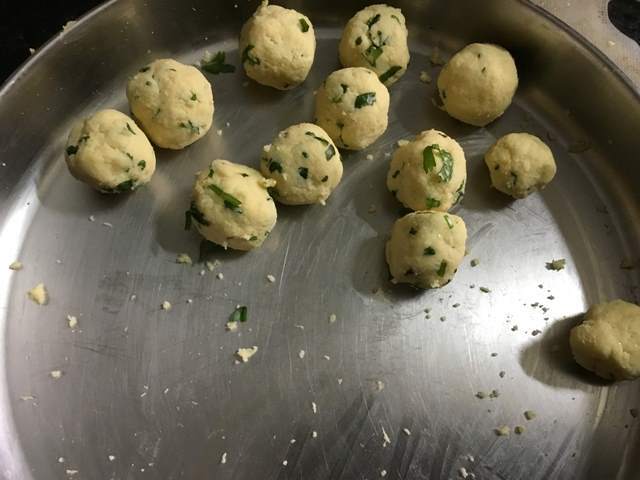 Fry the koftas till golden brown and keep it seperately in a plate. Heat ghee and oil in the kadai and add all the spices (bay leaf, cinnamon, cardamom, cloves and star aniseed). When you get a nice aroma, add the onions. 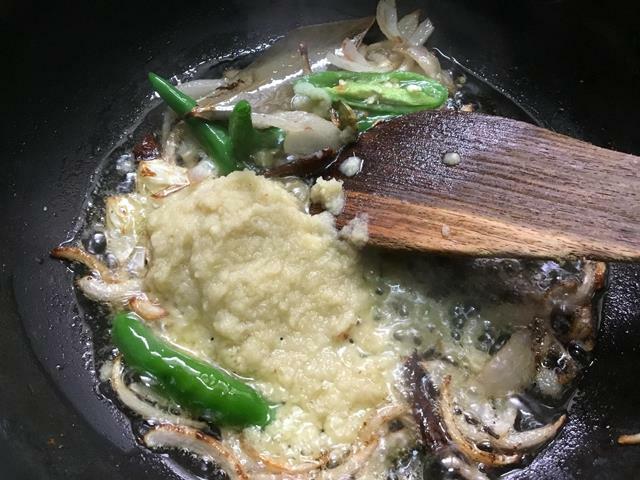 When the onions turn golden brown, add the ginger garlic paste and green chillies. 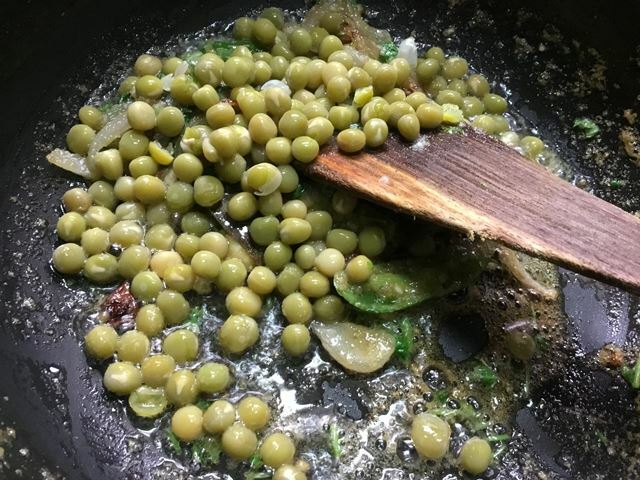 Stir and saute well and add the soaked green peas. 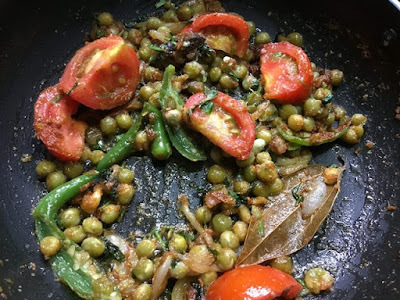 If it is green peas season, you can use fresh green peas because it looks beautiful and cooks easily too. Next, add the tomatoes and saute well for a few minutes. Add the biryani masala powder and mix it well. 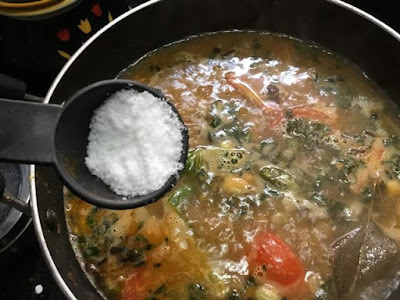 If you do not have biryani masala powder, you can add garamasala powder. If you have one cup of rice, boil 3 cups of water in a vessel. Add this boiling water to the kadai and mix well. I have used old basmati rice, so I have added 3 cups of water. Adjust the water, according to your rice. Add the required salt and lemon juice. 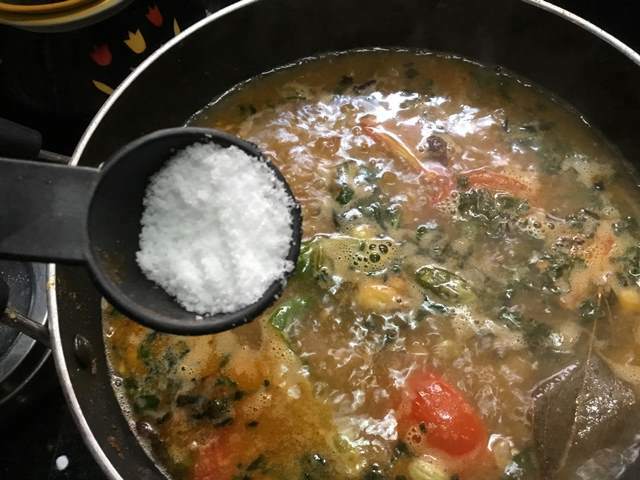 Reduce the heat to low and add the soaked and drained rice. Close it with the lid and cook the rice on low heat for about 15 minutes. After 15 minutes, open and place the koftas and add some saffron and ghee. Again close it with the lid for 7 minutes. Turn off the heat and mix them gently and transfer the rice to serving dish.